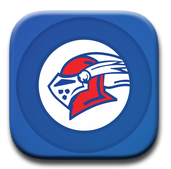 Macon East has a long and rich tradition in sports, and its success can be attributed to dedicated and experienced athletic staff and coaches, skilled and motivated student athletes, and encouraging and supportive parents. The athletic program is an integral part of the educational process. The purpose of the program is to motivate students to develop mutual interests, promote spirit and achievement, and improve their physical abilities and knowledge of sports. Competitive athletics emphasizes the importance of scholastic achievement and the development of sportsmanship, health and fair play in the participants and spectators. Participation in athletic teams involves considerable time for practices and games, strenuous physical effort, and commitment. Each sport is a specialized form of learning experience, and as such, entails numerous responsibilities. Students who try out for any sport should be aware of these responsibilities and willing to assume them. All qualified students may try out for membership on sports teams. Unfortunately, not everyone who tries out can be accepted. The decision of the coach, in conjunction with the athletic director, is final. Ordinarily, the administration will not intervene in non-selection decisions. Parents are encouraged to help their children understand that not everyone is selected. To provide a positive image of school athletics at Macon East. To strive always for playing excellence that will produce winning teams within the bounds of good sportsmanship. To provide a superior program of student activities that includes appropriate activities for every student. To create a desire to succeed and excel. e To develop high ideals of fairness in all human relationships. To be socially competent and cooperate within a set of rules, thus gaining a respect for the rights of others.